Apple had added an A12 CPU of the iPhone XS inside iPad Mini 5 which made it look different from the inside however, it appears to be very much similar to the previous model. Apple has done little about the internal changes. 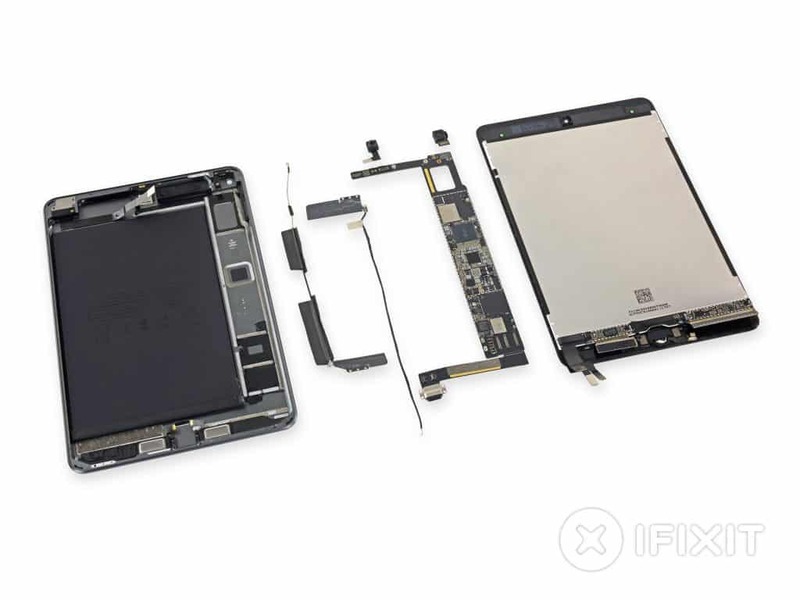 iFixit decided to disassemble the iPad mini 5 to discover what is new inside. According to their opinion after the experiment, Apple has not improved the brand-new iPad Mini from outside and is almost the same as the previous model. This suggests the battery in the iPad mini is the same as the old version. Few pieces found inside were the ambient light sensors, True Tone display, and an updated front-facing 7-megapixel camera. Other minor enhancements include 3 Gigabytes of RAM and support for Bluetooth 5. After a number of conflicting experiences ultimately leading up to this Mini’s glued-in battery, we’re officially not optimistic anymore about seeing adhesive pull tabs for iPad batteries. In spite of all the imperfections, the new iPad 5 Mini is still a great choice for those who find the small 7.9-inch display handy compared to the other larger choices.